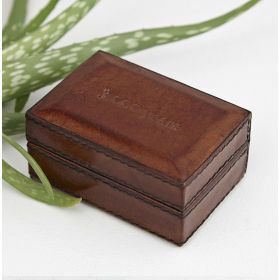 Give your Leather Travel Cufflink Box that personal touch with our embossing service. See below for details. 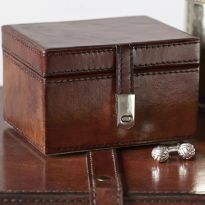 This leather travel cufflink box suitable for earrings, studs and cufflinks.Being magnetic the lid stays shut when travelling. 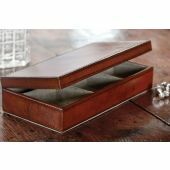 Emboss for a smart gift. Size: L 3.2" x H 1.6" x D 2.2".